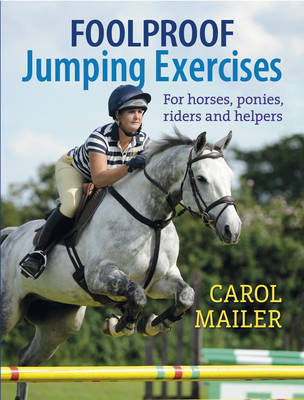 Carol Mailer presents foolproof jumping exercises suitable for every combination and size of horse and pony, devised specifically to help riders and their mounts hone their skills, improve their performance and exceed their expectations. Whether you want to jump a little higher or wider, iron out faults, or shave a tenth of a second off a jump-off time, these exercises can help. The set-ups are not complicated and if approached with a workmanlike attitude, they can make the world of difference to a horse's jumping performance. Moreover, the exercises will help eliminate the need to have a top-notch trainer standing by at all times to supervise the work. Indeed the exercises are so straightforward that a sensible rider will be able to use poles and grids to analyse why they are making mistakes, and far more importantly, learn how to correct them quickly and easily.